Have you ever dreamed of taking part in the filming of your favorite movie? Or maybe you’ve always been interested in what the actors do when the camera’s focus isn’t concentrated on them? Bright Side gathered the most amazing photos taken behind the scenes. Now you’ll be able to enjoy the mysterious atmosphere of the filmmaking process. The youngest actor is preparing for his role. The most beautiful loser in the world! They are absolutely prepared to defeat Pennywise. The most romantic scene ever! Maybe these are the hands of goblins? Little Ginny Weasley has just failed her potions exam. 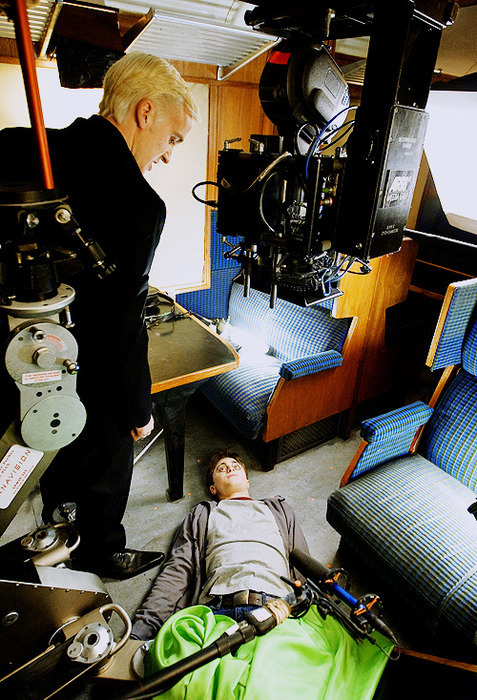 Harry fainted again after the arrival of the Dementors. J.K. Rowling is giving advice to a new generation of the Harry Potter universe. Kate and Juliet are finally getting along with each other. The legendary Bruce is the most famous shark in the world. John Lennon is preparing for the "I Should Have Known Better" sequence. Julie Andrews and Emma get along not only in the movie. In a real pirate film, it’s not only the actors that have to swim but the crew members as well. Joker looks impressive even when upside down. The famous Shining twins are going to scare you out of your wits. Have you ever seen any amusing photos from behind the scenes of your favorite movies? Share your links in the comments!